Football star and Unicef ambassador David Beckham has the following advice for young people – work hard, be dedicated, stay grounded and have a passion for what you do. South Africans should be proud of their fiscal sovereignty, but must now work together towards finding their own ways to generate economic growth through improving confidence, increasing investment and deepening inclusivity. 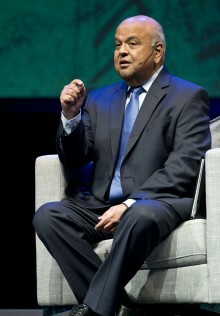 This is the view of Finance Minister, Pravin Gordhan, who was a keynote speaker at the Discovery Leadership Summit held on Monday at the Sandton Convention Centre. Discovery announced that former General Electric Chairman and CEO, Jack Welch, will be addressing the Discovery Leadership Summit to be held in Sandton, Johannesburg on 14 November 2016. The Summit is a flagship, global thought-leadership event that enables the sharing of intellectual capital to contribute to leadership in business, government and civil society. 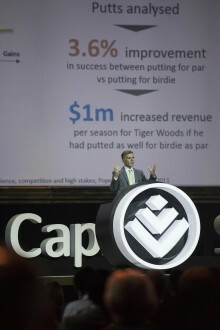 “South Africa has the talent and ability to build great businesses,” said Adrian Gore in his opening remarks at the 2014 Discovery Leadership Summit. “It is the quality of our leadership that will enable or stifle this.” The welcome address from the Discovery Group CEO set the scene for a gathering focused on leadership in business, government and civil society. Former Chairman of the US Federal Reserve Dr. Ben S. Bernanke will be one of the speakers at the Discovery Leadership Summit to be held in Johannesburg on March 5. 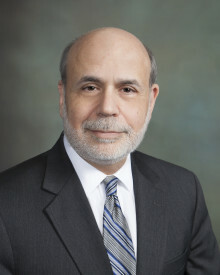 Dr. Bernanke heads a line-up that includes Nobel Laureate Joseph Stiglitz, Lord Sebastian Coe, Adam Morgan, and Firstrand co-founder Laurie Dippenaar, JSE Chairwoman Nonkululeko Nyembezi-Heita and Bidvest CEO Brian Joffe. Discovery today announced the prominent line-up of global thought leaders who will be attending this year’s Leadership Summit, to be hosted on 5 March in Johannesburg.This year’s event promises to be thought-provoking with Starbucks Chairman and CEO, Howard Schultz, renowned American economist Joseph Stiglitz and British Olympian champion, Lord Sebastian Coe confirmed.